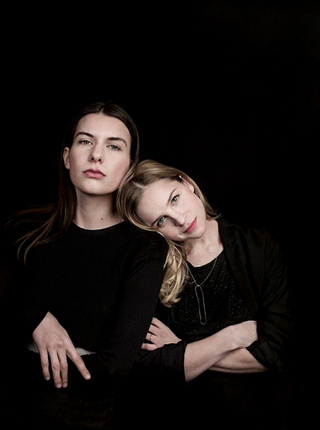 Essi Johanna Glomb (1989) and Rasa Weber (1989) are Blond & Bieber, a Berlin-based design studio. Blond & Bieber is a cooperation which meets on the border between textile- and productdesign. By means of concept, experiment and a strong visual approach the duo (though educated as product-developers) would always choose for a narrative approach to design over a purely practical understanding of production. Blond & Bieber are searching for subtile expressions of modern rituals and processes. Their research can be understood as a tightly woven mesh, which lays the foundation to all their projects. Textile is used as the embodiment of a versatile material which can be seen as a key to their story-telling. Blond & Bieber develop concepts, products and processes.